Pastor Tod & his family welcome you to Southpoint. He invites those who do not have a church home to join us as we learn to live out the two most important instructions; to love GOD with all our being and to love people as ourselves. Come and allow GOD to minister healing to your spirit, soul and body. Then discover your gifts to use in demonstrating GOD’s love in a practical way where He has placed you in the world. You are invited to discover the joy of living through personal fellowship and partnership with GOD. Pastor Tina leads our prayer ministry as well as our corporate praise and worship. She invites you to the Thank GOD it’s Wednesday (TGiW)adult discipleship class at 7 pm weekly. 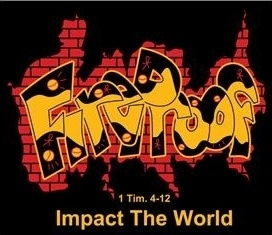 Veteran youth directors, Greg and Trish Jennings lead Southpoint’s Fireproof Youth Ministries. Greg & Trish invite all teens (7th-12th grd) to be a part of their Wednesday night celebrations, a variety of activities, trips and adventures! S.P.A.C.E. is Southpoint's children's ministry department. We are Spiritually Preparing All Children for Eternity. Discover the exciting things happening thru this ministry by clicking the tab, "Space Jam News". Southpoint Church of God, Inc.